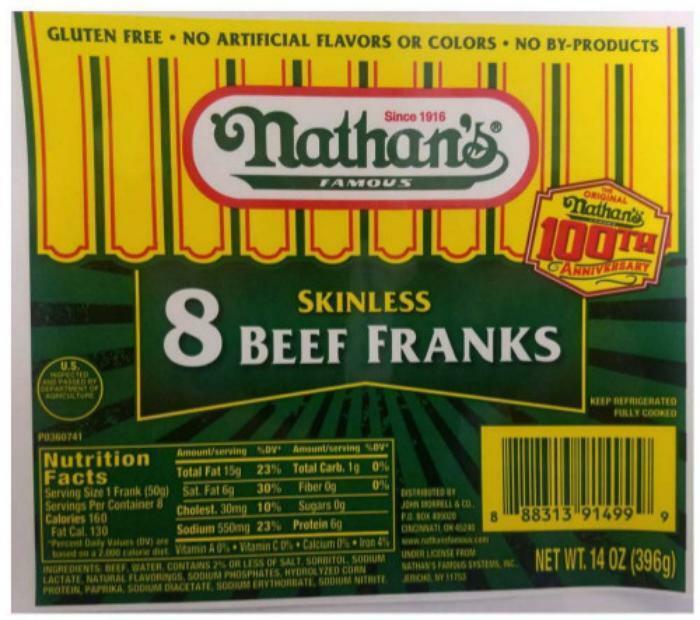 John Morrell and Co., of Cincinnati, Ohio, is recalling approximately 210,606 pounds of Nathan's and Beef Master ready-to-eat hot dogs. The products may be contaminated with pieces of metal. There have been no confirmed reports of adverse reactions or injury due to consumption of these products. The recalled products, bearing establishment number “EST. 296” on the side of the package, were shipped to retail locations nationwide. Customers who purchased the recalled products are should not consume them, but throw them away or return them to the place of purchase. Consumers with questions about the recall may call 1 (877) 933-4625.